I'm an arch sceptic, and don't believe in anything supernatural or divine at all, but I adore a good ghost story. I really enjoyed this. It's filmed beautifully, and the sense of dread builds patiently and relentlessly. The plot twists and turns like a twisty turny thing. There's no comic undertone here, and I really like watching Whitehouse in particular do "proper" acting. 8/10. Also, don't watch it in the daytime - it's dark. Like, actually dark. Lack of photons dark. You'll lose a lot watching it in a brightly lit room. Last edited by CJ+ on Sun Mar 24, 2019 9:28 am, edited 1 time in total. S1K wrote: The most amazing thing was that he’s got a girlfriend. Who would go out with someone who is so very likely to die on any given day? He's been featured on a podcast I listen to, where he claims that no free solo climber has ever died doing a challenging free solo ascent. That's not the impression I got from the deaths that were listed in the film, though I think he explains that one of those was a mountaineering death. I sort of see where he's coming from: you've got to be so "on it" doing something challenging that that on its own lowers the risk. But the chance of a slip, being distracted, that sort of thing. They're never going to be zero. The gf thing was strange. She seemed to regard him as a bit of a project. If she fell pregnant I can't imagine she'd let him carry on. I thought this was great too although I found the ending a bit of a letdown. Forgiven though as everything leading up to it is wonderful and I’m always grateful to see new ambitious British horror. I’ve loved Andy Nyman since Severance but I didn’t realise he was a writer/director too. I really liked Severance I remember, now you've reminded me. I liked Ghost Stories too, mostly. But felt the 'twist' ending was so obvious throughout that I wasn't sure it was even actually meant to be a twist. stuart wrote: Icarus on Netflix about the Russian Olympic athletes state sponsored doping. It starts off as a documentary about a guy wanting to see if he can use PEDs to get better at cycling while remaining undetected as if he was under the same scrutiny as athletes and ends up being about the entire Russian doping scandal. It's really good! I stumbled onto this last week and watched it. It is excellent. And I say that as someone who was stone cold sober when they watched it. I also stumbled across it this week and agree it’s excellent. The film makers must have been so happy when it blew up. It went from a mildly interesting cycling documentary into being bang in the middle of a huge global scandal. Cops and criminals doing what they do and things going sideways as they do. I was keen to see this having loved the directors previous two films and it didn’t disappoint. It takes its time much like Bone Tomahawk but the character work and soundtrack are great. It is quite violent in places, although not to the extent of Brawl in Cell Block 99 and it’s more affecting because of this I think. I’d say if you’ve seen and enjoyed either of the directors previous films it’s well worth watching but I’m sure some people will absolutely hate it. Four bad decisions out of five. I have never ever felt physically sick watching a film. Until this. Un fcuking believable except it’s all true and happened and was filmed. Good recommendation Greg! Really enjoyed this - thought it was excellent and insane in equal measure. Like a lot of top athletes, he was a strange one and I’d love to know more about what drives him and his true feelings on it but got the impression he wasn’t particularly good at self analysis. 8/10. It actually comes from my other half’s name for woodlice, (which I think she picked up as a child, the phrase and not the aforementioned insects) no idea of its origins in that respect though. Last edited by Strawman on Mon Apr 08, 2019 11:48 am, edited 1 time in total. 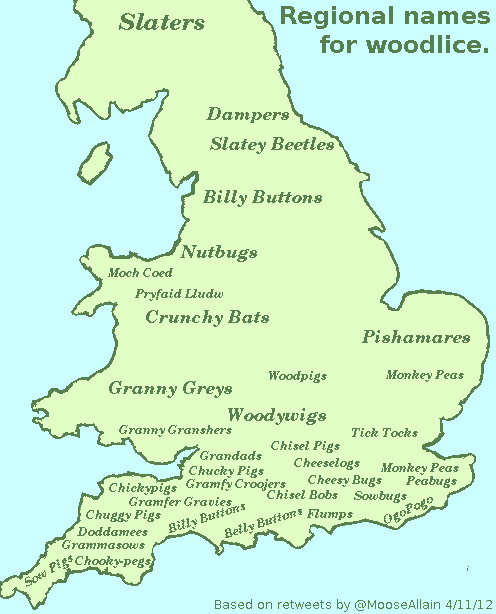 chinkypig wrote: It actually comes from my other half’s name for woodlice, (which I think she picked up as a child, the phrase and not the aforementioned insects) no idea of its origins in that respect though. I believe you, but none of us know your other half and without context it just says pakipig or niggerpig, if you get my drift. You don't see it and think "Oh, that's a funny childs word for an insect, how cute", you think "Ooo, that's bad"
I saw them before they went mainstream. Good Peel Session though. North Devon looks more likely strawms. Anyway, I watched a film on Netflix called Peppermint. Tokyo Sexwale wrote: North Devon looks more likely strawms. That's still only chickypigs though. Googling 'chinkypig' brings up almost nothing except except our member here and, er, Chinese people with or being called pigs. Last edited by minimoog on Mon Apr 08, 2019 12:02 pm, edited 1 time in total. I’ll just stop posting if you’d prefer and admin can just delete my account. I don’t believe anyone objected to my username when I joined up so I’ll be on my way then. chinkypig wrote: I’ll just stop posting if you’d prefer and admin can just delete my account. But the main thing is that you haven't massively overreacted. I've watched quite a few films recently, and expect to more as Sky seem to have given me Cinema for a few months. I'll try to remember to tell you about them when I have time, but one was The Ritual on Netflix, which was low-key excellent. Depending partly on your settings, Google filters search results based on past web activity, which could explain how CTF is relatively high on that list for your search. I’ve just done the same search via a German proxy server and got the same results. Not that it matters and whilst I can see where he’s coming from Teets does sound like an androgynous activist with blue hair. I'm not arsed about the name btw. I assumed it was some obscure reference to something I knew nothing about, and so it's proved. I'm with TT on this one - it was with a sigh of relief that S1K changed his name also for similar reasons. It just gives an unfair impression of the poster. Still, I did think it was a very funny name. But somehow I didn’t see it as racist. I just imagined a little Peppa Pig but Chinese, which I suppose *is* quite racist in the cold light of day. But also sort of cute and funny. It’s ruined now of course. Laugh. Like Tokes picture you mean?